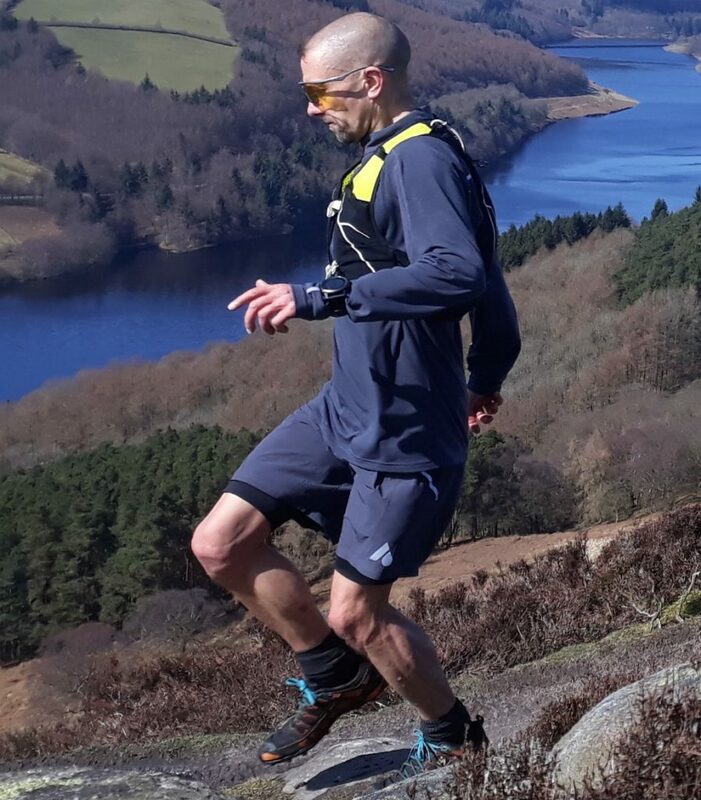 Aussie Grit Apparel wasn’t a brand that I had heard of until recently, they were set up in 2018 with a range of high quality trail running and cycling clothing. As the name suggests they are an Australian company and actually have ex Formula One racing driver Mark Webber behind the concept. Their motto “No Stone Unturned” refers to the excellence and attention to detail demanded by Formula One and this is reflected in their clothing. My first impression was of a high quality product, even the wrapping paper was classy! The Flint shorts are a double layer short comprising of a nylon and lycra compression inner and a polyester and elastane outer. The stretchy inner shorts are constructed with flatlock seams making them comfortable against the skin and reduce the risk of chafing. The outer layer has a durable water repellent (DWR) finish and is quick drying, handy for the British climate! whilst numerous small perforations allow air to circulate thus enabling cooling. 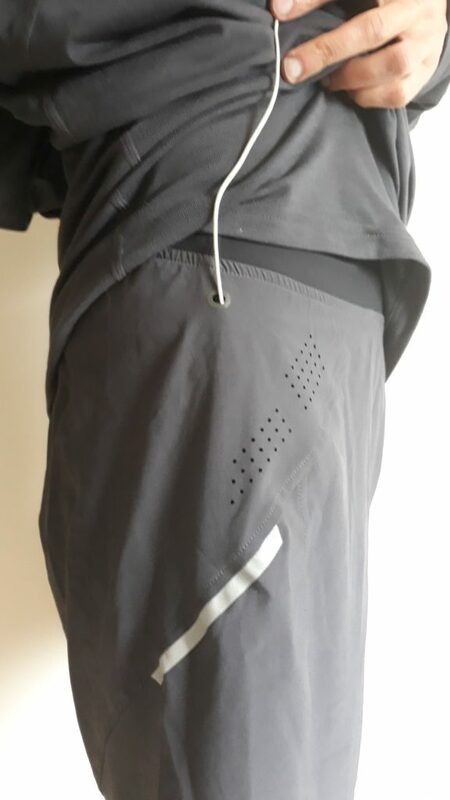 The elastane allows the material to stretch slightly which gives unrestricted movement and the reflective piping and logo make you more visible in the light of car headlights and head torches when running at night. 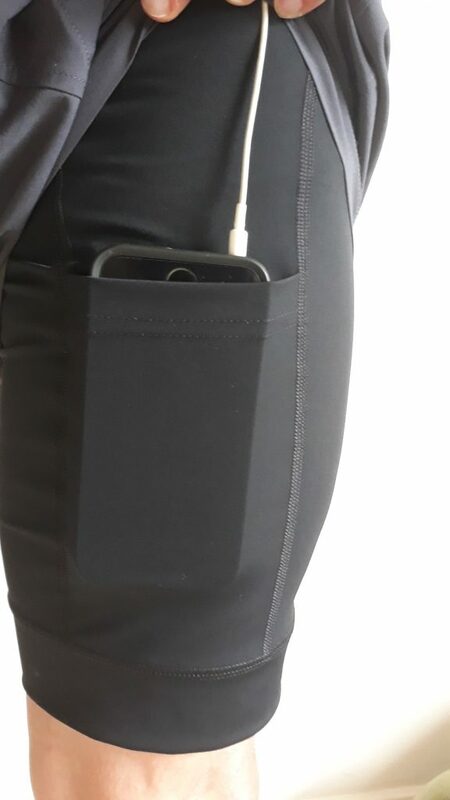 One interesting feature on the shorts is a hidden pocket on the inner that is big enough to take a mobile phone and a discreet eyelet in the outer short lets you route your headphones. 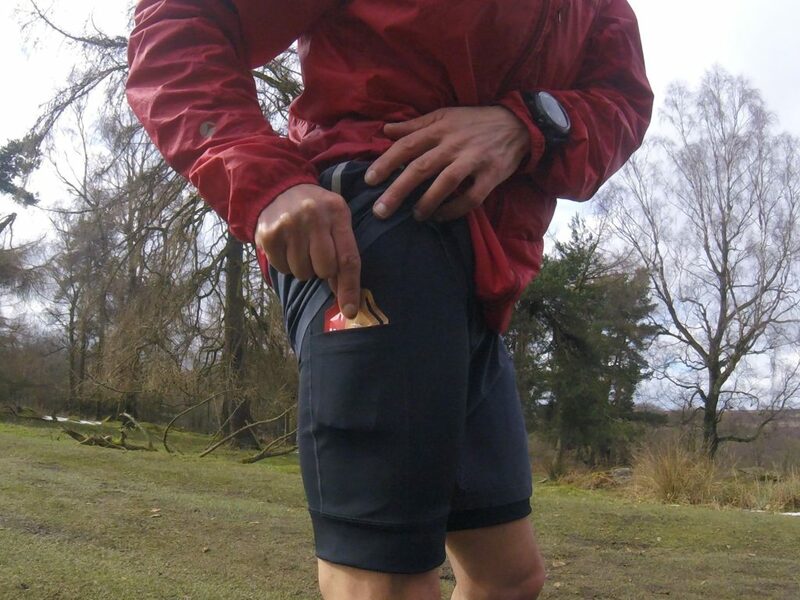 I don’t personally listen to music whilst running but the pocket is useful for other items such as a gel, compass, section of map, car keys etc. The shorts are very comfortable and the size small gave a reassuringly snug fit whilst not being too tight. I’m very small so I’m guessing that the men’s medium might be better suited to anyone on the cusp of small / medium. 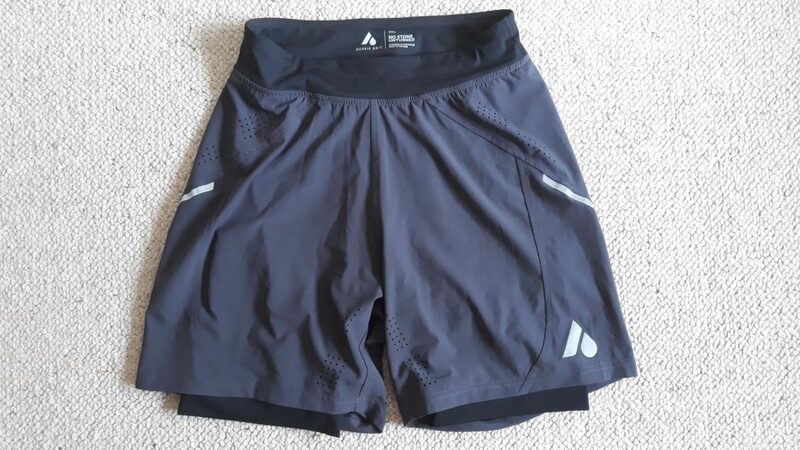 I’ve worn the Flint shorts for long runs of over 2 hours in warm conditions and for interval training on cold spring days when I didn’t want to wear full leggings but wanted some protection for my hamstrings. I’ve worn them in rain and shine and whilst they might be too warm in full summer conditions I think they make a great 3 season short. I’d also choose to wear them in summer if venturing into higher terrain such as the Scottish mountains. The only downside I can see is that they are quite expensive with a RRP of £79. This means that I wouldn’t want to be wearing them in rough, steep fell races where I was likely to end up on my backside! 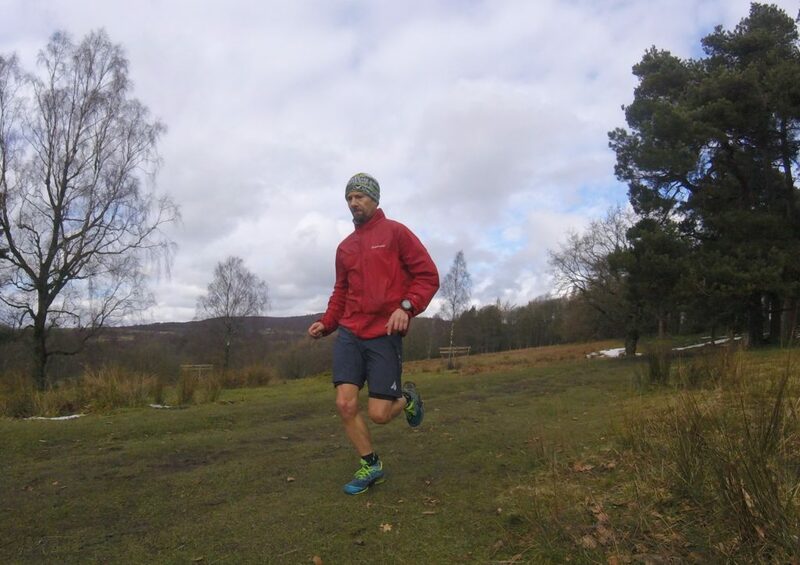 Aussie Grit Apparel Flint shorts are a high quality, comfortable 2 in 1 compression short for runners seeking a little luxury. Inspired by Formula One they might even make you run fast! Aussie Grit – the Formula One of shorts!